On my first visit to Toy Story Land in Disney’s Hollywood Studios, it seemed fitting the first character to greet me was Woody. 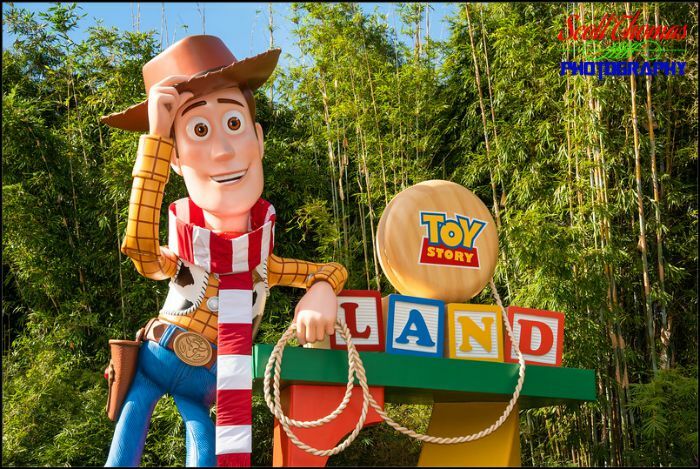 Woody greeting guests at Toy Story Land in Disney’s Hollywood Studios in Walt Disney World, Orlando, Florida. Nikon D750/24-120VR, 1/60s, f/6.3, ISO 100, EV 0, 55mm Focal Length. As you can imagine, this is a very popular place for guests to get their photo taken. I choose to photograph Woody higher up because he was feeling a bit chilly and wanted a scarf to wear, as it was Christmastime.